My office is empty, my bike already climbed a mountain this morning, and I’m clad in red white and blue – 4th of July weekend is here! Sun and fog: our only semblance of seasons in SF. 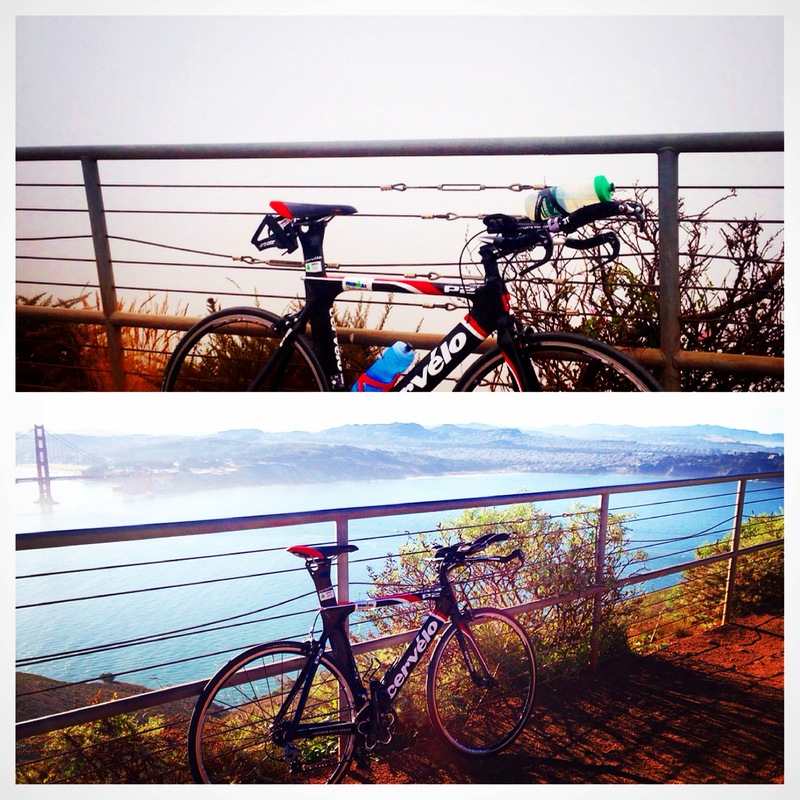 I took the picture up top this morning, and the other in the middle of “winter”. Taylor and I are planning a low-key celebration this year: 20 miles for Taylor, and a cool 60 mile bike for me. We’re also planning to catch the World Cup games from our favorite German bar and watch the Fisherman’s Wharf fireworks from our roof – quite possibly the best perk of living in the heart of a touristy neighborhood! Taylor’s long run will be her last ahead of San Francisco Marathon on 7/27, and my long ride will my first A-race of the season: Vineman 70.3 on 7/13. I kicked off the celebration a bit early this morning with a hard 60 minute effort up Hawk Hill and back – my legs are feeling great ahead of the big race next weekend. Enjoy your long weekend and train well! Oh no – sorry to hear that! Stay safe this weekend! Thanks! A new road bike is definitely high on my wish list. I hope you guys have a great weekend and 4th of July!! XOXO!! You too!!! Have a great weekend!! That bottom picture is really good! Have a great 4th! Sounds like such an awesome way to celebrate the holiday! And that scenery is gorgeous!